Countertops are an integral part of any kitchen or bathroom. They provide space and are an essential aesthetic element to each room. Kitchen & Bathroom countertops must be properly designed, cut and installed. 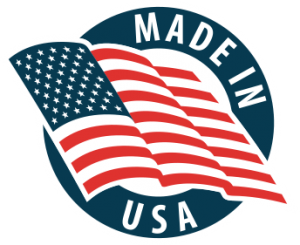 Omega Kitchens and Baths is a family owned business in the Orlando Metro Area dedicated make sure that every customer is satisfied with each granite countertop they receive from us. While using the best craftsmanship, The Omega team will learn what your kitchen or bathroom remodeling goals and are determined to make your dream come true. 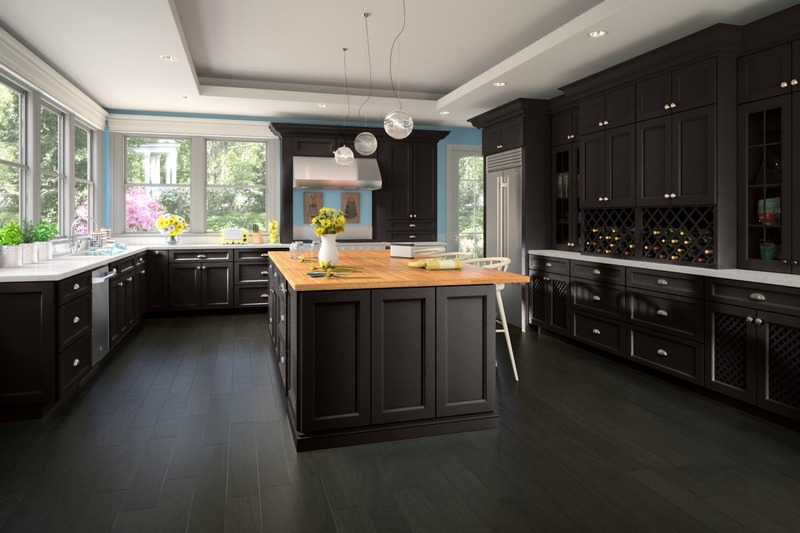 Our competitive pricing and superior products in the marketplace, Omega Kitchens and Baths is your go-to place for kitchen and bathroom cabinets and the best in granite countertops in the Orlando area. To get a free estimate for your remodeling project contact us today at 407-578-8088. If you’re tired of your current countertops, consider the value of replacing them with granite countertops. By covering your current counter with granite, you can enjoy both the practical and aesthetic benefits of this strong, durable material. For both kitchen granite countertops, and for bathroom granite countertops, here are just some of the reasons to bring a granite countertop into your home: Granite is highly durable. Whether they are in the kitchen or the bathroom, your countertops need to be able to stand up to continual use. 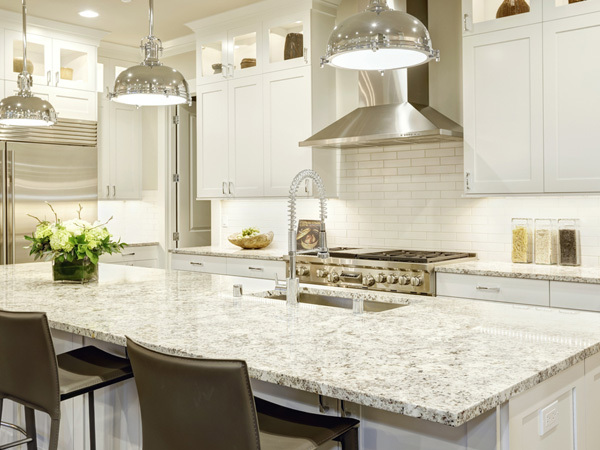 Granite is extremely hard and dense, so it’s the perfect choice for a countertop. No matter how many meals you prepare on your granite countertop, or how much water you splash on it, it will continue to hold up for many years. Granite is heat-resistant. Granite is a popular choice for kitchen countertops because it is highly resistant to heat. You can place a hot pan or plate on it and it won’t leave a mark behind. Granite is also very difficult to scratches; you can use knives to cut food on it without worrying about ruining the surface. Kitchen granite countertops will last a lifetime. Granite is stain-resistant. Removing stains from countertops can be a major headache. It’s almost never a problem with granite, since it’s so resistant to stains. Even highly acidic liquids, such as orange juice, won’t erode it. You also don’t have to worry about mold, mildew, or bacterial contamination with granite. Those on the hunt for a new house in the Orlando Area often look at the kitchen and adjacent family room spaces first. Make sure that you have granite countertops that new homeowners are going to have that “Wow” face when they see it. 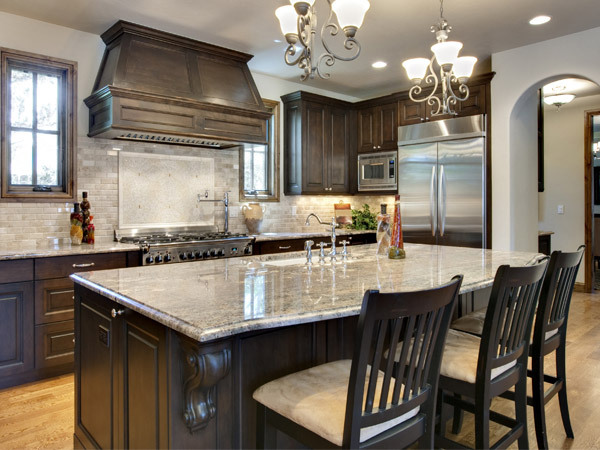 Granite Countertops are a major factor in selling a home in today’s marketplace. Kitchens with stunning Omega Kitchen and Bath granite countertops can make all the difference. Kitchens and bathrooms are high-traffic areas, so it’s important to choose have a countertop that can be difficult to crack, and withstand the use of any homeowner without requiring much maintenance. Our Omega Granite is nearly impossible to crack or break. Granite has been around for centuries. It provides value, beauty, durability and lower maintenance which homeowners in the Orlando Area desire. Granite is perfect for durability. Next to a diamond, it is the second hardest material on earth. Our Omega Kitchen and Bath granite countertops will last a lifetime. Each Omega Kitchen & Bath slab of granite you choose from us will be unique. Each slab truly is one-of-a-kind. You will never know which slab has a dazzling array of specks, swirls, and selection of colors. 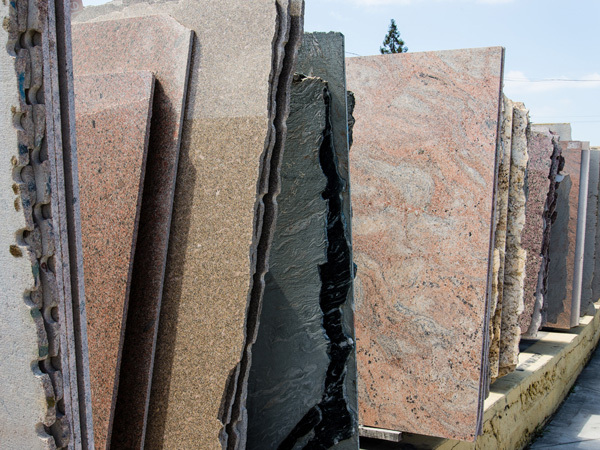 Omega Kitchens and Bath has a huge warehouse of granite for you to select the perfect slab. Contact Omega Kitchens and Baths in Orlando today at 407-578-8088.